FOE 009 Walter Krug "Type of Girl / Back in 88" 7"
Limited pressing of 300 on blue vinyl. Line up included Jesse (guitar, vocals) who went on to be the bassist in Weston, Eirik (bass) and Cody (drums). 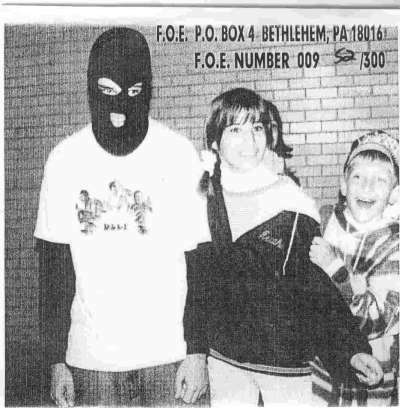 Recorded in January of 1996 at Raspberry Studios in Bethlehem PA. Engineered by Kevin Baumguard (of Greiving Eucalyptus). Cover photo by Tom Short, other photos by Eirik. 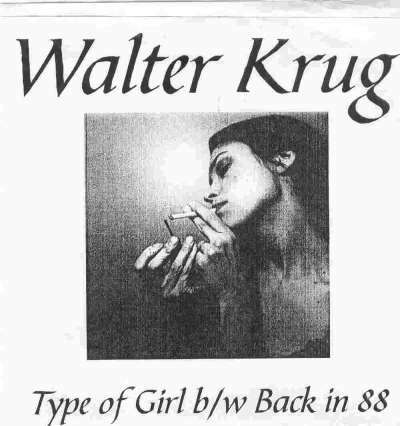 Walter Krug went on to release a 7" on Melted records out of NYC before disbanding.